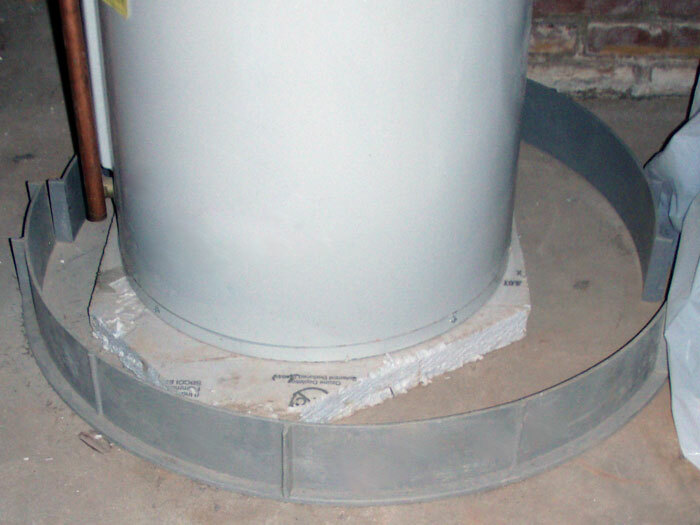 The FloodRing® Water Heater Protection System is a 4" high PVC ring that's epoxied to your basement floor in a circle or semicircle around your basement's water heater. 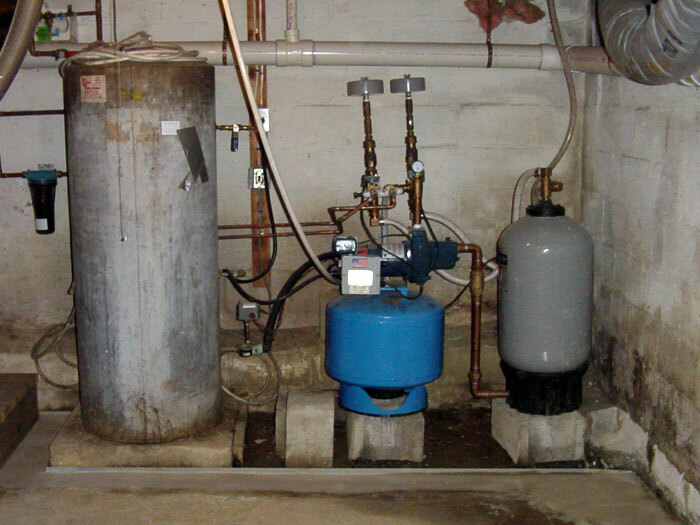 Inexpensive and fast to install, this is the ideal answer to protecting your basement from one of the most common home plumbing failures: flooding from a water heater. Water flooding from your water heater will be collected within this plastic ring -- keeping it from ruining carpet or the finished area of your basement. 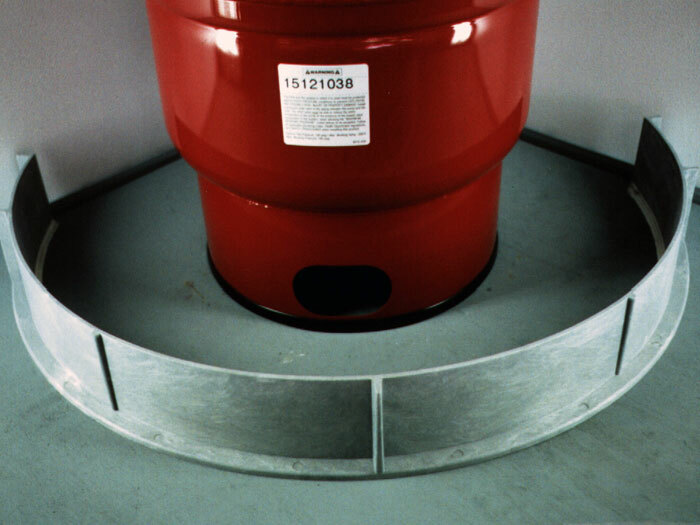 An optional water alarm can be installed to sound off in case of failure. 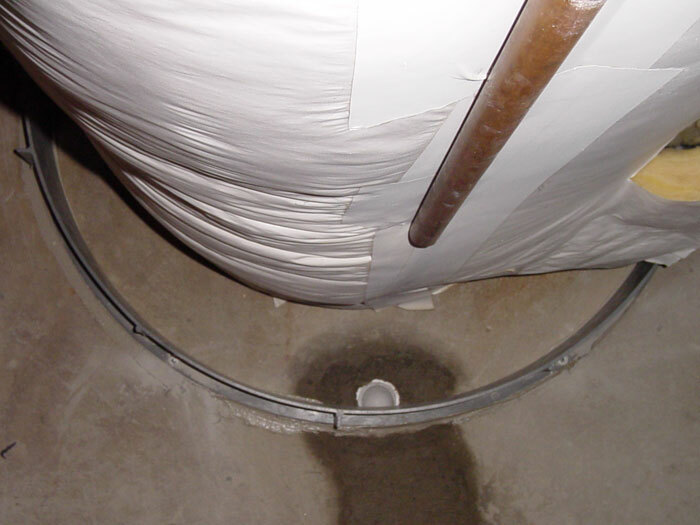 The system is can also be integrated with any basement waterproofing system, to drain into your perimeter drain. 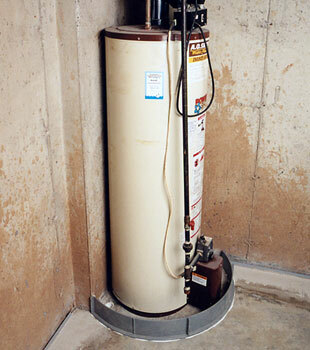 A water heater flood protection system is an effective, common-sense way to protect your home from flooding due to this very common home plumbing failure. To schedule a free, no-obligation basement waterproofing quote with one of our Certified Waterproofing Specialists, call or e-mail us today! We serve homeowners throughout Canada, the United States, and the United Kingdom -- including in your local neighborhood! 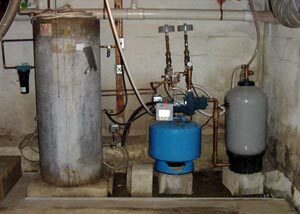 If your basement is cold and uninsulated, your water heater, hot water pipes, furnace, and air ducts are also cold. They'll have to work extra hard to do their daily job! The top claim that insurance companies pay out for homeowner's policies are connected to water damage in a home. Of these, damage claims related to failed water heaters (as well as bursting washing machine hoses) are among the most common. Water heaters refill themselves automatically as they drain -- meaning that when a leak begins, it will continue on without stopping until you fix it. 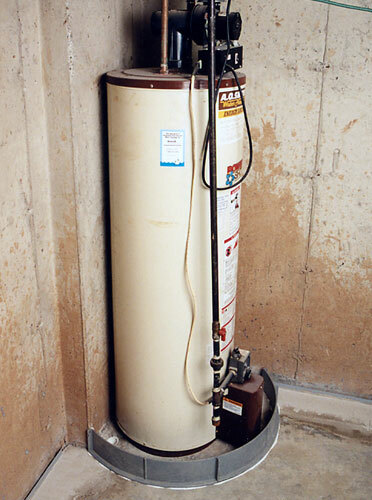 During the life of a house, the water heater system must be replaced numerous times -- with an expected lifespan on a system being approximately seven years. This small upgrade pays for itself in the peace of mind of knowing that your home is protected from any further flood damage. Since most homeowners don't pay much attention to their water heater systems, they can be leaking for quite some time before the problem is noticed. Our WaterWatch® Alarm System can be placed on the basement floor within the FloodRing® -- sounding off if it comes in contact with water. This is a small upgrade that can make a big difference! We Can Help You Keep Your Basement Dry -- All The Time! At Basement Systems, we want to permanently transform your basement into dry, usable space. We have more than 30 Patented, Warrantied Products that work together to tackle any problem you might have with your wet basement. To learn how we can customize a waterproofing system in your home, contact us today! We'll make sure you get in touch with the locally owned and operated dealer in your neighborhood. Your Certified Basement Dealer will help you schedule an appointment for your free basement waterproofing quote. Your free quote is provided with an on-site inspection and measurement, a professional consultation where we answer all your questions and provide you with a written quote. Before our visit, you'll also receive a mailed copy of our full-color basement waterproofing book as a complimentary gift.